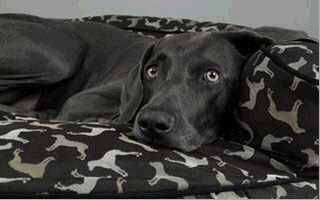 DOG BED WORKS collection of dog beds & pet beds at Dog Bed Works from the finest manufacturers of designer dog beds, dog mats, dog blankets, orthopedic dog beds, outdoor dog beds and so much more. We're constantly adding new styles and fabrics for you and your best friend; all with design, comfort and function in mind. One Size 38" x 29"